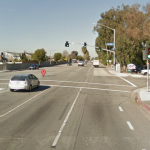 ANAHEIM (December 12, 2014) – Matthew Bretzing was involved in an auto accident on Friday morning that claimed his life. Bretzing was westbound on La Palma Avenue around 6:00 a.m. when his Ford Focus crashed into a trailer that had been separated from its truck. According to reports, the trailer was blocking two of the three lanes on La Palma Avenue. 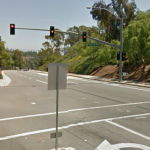 Bretzing was rushed to UCI Medical Center in Orange where he was later pronounced dead from injuries sustained. The Anaheim resident had just turned 58 years old a month earlier. An investigation is underway as to why the trailer Bretzing struck had separated from the truck carrying it. The investigation will shed more light on why the accident happened and who is liable for the wrongful death of Matthew Bretzing.